Fayetteville is going to the dogs! Dogs will be taking over the Fayetteville Town Park for Fayetteville’s first dog festival, The Big Dog Party! 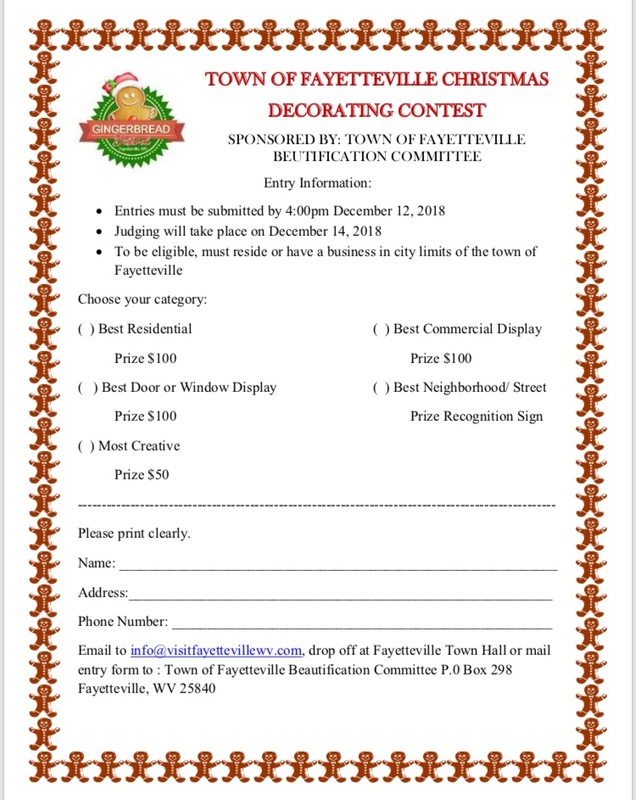 The Fayetteville Convention and Visitors Bureau has teamed up with The Fayette County Animal Control Center to throw the Big Dog Party based off of the book ” Go, Dog. Go!” The event kicks off this Saturday with a Dog Walk at 9:00a.m. powered by Southern Active WV. Dogs will be parading around the park loop and strutting into town and back. Join us for a day of fun activities with or without your pup! We will have a costume contest and best trick contest along with lots of other fun activities. We will also have raffles to raise money for the animal shelter and some dog vendors on site. Your dogs can cool down at our doggie watering station. Bring a blanket to enjoy a reading of ” Go, Dog. Go!” with your furry friends. We love dogs in Fayetteville and if your traveling into town with your furry family members we have you covered. Fayetteville is a dog friendly community , below is a resource guide for pet owners. Start your day by grabbing a cup of fresh coffee to go at Kool Beanz while your dog gets refreshed at their watering station on their deck. Enjoy a stroll around town. There are doggie waste stations in several spots along the main streets in Fayetteville. If you have a well behaved leashed dog you can even shop with your dog in Waterstone Outdoors and Ace’s Adventure Shop. They have a nice selection of doggie adventure gear. Cathedral Cafe has an outdoor table where you can dine with your dog and they provide water and complimentary bacon for your pooch! The Burrito Bar has outdoor dining and music and welcomes well behaved leashed pets! Arrowhead Bike Farm has a Biergarden offering craft beer, sandwiches and brats along with near by hiking trails where you can dine with your pup in their outdoor space. You can order Secret Sandwich Society to go and enjoy a picnic at the table right by the restaurant in Janatula Park behind the Fayetteville CVB. Pick up a Pizza from Pies and Pints and dine at one of the picnic shelters in the Fayetteville Town Park. Mountain Surf Paddle Boards is a company based out of Fayetteville that rents boards and also offers lessons that you can take with your dog, as long as your dog is comfortable around water. There are so many great dog friendly hikes in the area. All of the hikes in the New River Gorge National Park are dog friendly. Long point trail is beautiful along with Fern Creek trail, both are popular with pups. I will warn there are overlooks with drop offs, so it depends on your dog’s temperament if you would feel safe taking them on these trails. If you want to avoid the overlooks the Town Park Loop Trail is a great option. Our dogs love splashing around the creek off Wolf Creek Trail. The Burn Wood Loop trail is another great option if you want to avoid walking along the edge of the Gorge with your dog. Stop by the visitor center and I can give you directions and maps! If you have a water dog there are lots of fun places to dip your paws around Fayetteville. A popular watering hole that has amazing views of the bridge is Fayette Station. Take Fayette Station Road, drive past New River Gorge Bridge Visitor Center, take a sharp left and work your way into the Gorge. It becomes a one way road. You will go over the old blue bridge across the river and on the other side you will see signs to park at Fayette station. It is also a fun spot to watch rafters go by and for your pup to splash around along the bank. Waterstone sells doggie life jackets. The Quality Inn New River Gorge allows three pets of any size for an additional $15 per pet, per night. Quiet crated pets may be left unattended for short periods of time. The New River Gorge Preserve has several cabins that allow pets. The cabins set in a beautiful wooded area overlooking the New River Gorge, minutes from Fayetteville. You must request a pet friendly cabin upfront. A retreat for your pets while you vacation. Share your Fayetteville dog adventures at #fureteville for a chance to be featured on our social media pages! Fayetteville is the perfect place to embark on your biking adventure! Fayetteville is surrounded by miles of mountain biking trails and the endless beauty of the Gorge. Explore winding rural roads dipping into the gorge or enjoy cruising on an easy going rail trail. 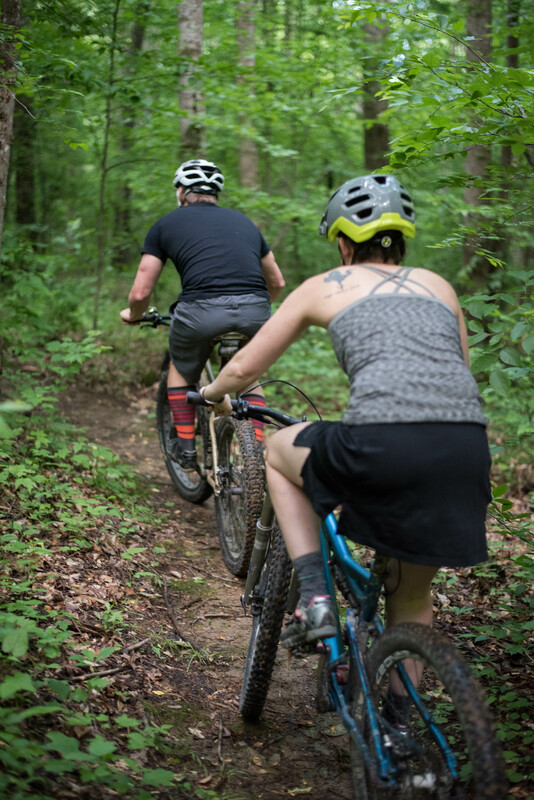 Fayetteville has something for everyone, from challenging trails for the seasoned pro to easy beginner trails and helpful guides to get you started with mountain biking. Start your adventure off exploring in town, we have two awesome bike shops to get you pedaling in the right direction. Both shops are happy to offer guidance on the best places to ride in and around Fayetteville. Founded in 1989 New River Bikes is your full service bike shop owned by Andy Forron. Providing everything you need to get you on the trail including bike rentals and bike repairs. New River Bikes offers guided tours from beginner to expert, something to enjoy at any skill level. They also offer instruction, Andy is a certified Mountain Bike Instructor. Andy encourages riders to join him at the shop on group rides when the shop closes around 6pm. New River Bikes will be offering some exciting clinics and they even have an overnight solstice trip lined up. Marathon Bicycle Company is your full service one stop shop for all your cycling needs, owned by Adam Stephens. From guidance, trail maps, or the gear to keep you on the trail. Stop in and try a demo bike, they also offer high end full suspension bike rentals, and bike repairs. Marathon Bikes will also be offering some fun clinics this summer. The Arrowhead Bike Farm is a full service bike shop offering rentals and bike repairs positioned right at the entrance of the Arrowhead Trails. After you ride you can enjoy their Bavarian style Biergarten serving brats, pretzels, sandwiches, and WV brewed craft beer. There is also a campground on site. You can hit the trails from town at the back of the Fayetteville Town Park. These single track trails will give you a taste of Appalachian riding with technical sections, hills, rocks and roots. The Town Park Trails can be linked together depending on the mileage you want to cover. Andy said one of his favorite rides is linking the Town Park Trails and making a loop to the Arrowhead Trail system. Other Town Park Trails include the Fayetteville Trail, a 3.9 intermediate advanced trail. It also includes the Park Loop Trail, a 1.1 mile intermediate loop trail that travels through the forest. You can also link trails to connect and access The Long point Trail and Kaymoor Trail. 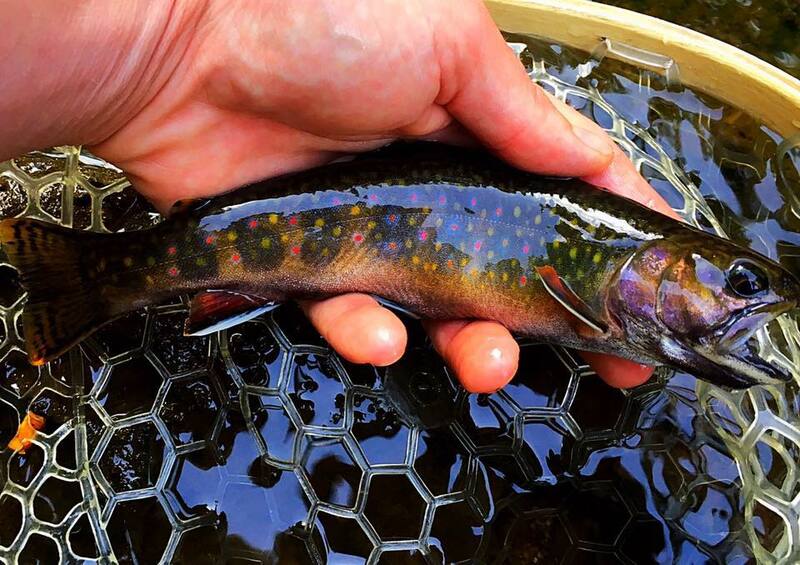 The Arrowhead Trails are a favorite for many and the most user friendly. The Arrowhead Trail is a stacked-loop system built to International Mountain Biking Association specifications. It was built by more than 1,000 members of the Order of the Arrow Boy Scouts of America’s national honor society making it one of the largest youth service projects in National Park service history. ” Arrowhead is perfect for beginners and advanced riders. Its fast and flowy for advanced riders and its design makes it easy to navigate for beginners with a stacked loop system that uses gradient effectively for a rolling trail with no large climbs.” Adam Stephens, Marathon bikes. The trails range from 1 mile to 6. 4 miles with fun features like banked curves to play on. The trails include the Clovis Trail, Adena Trail Dalton Trail, and LeCroy Trail. Fayetteville is not just limited to Mountain Biking. Come enjoy a ride around town and visit the unique shops and delicious restaurants along with two great bike shops for all your biking needs. With scenic rides and low traffic routes, Fayetteville is a great place to enjoy some road cycling. There are several loops that leave right from town. Gravel riding is one of the fastest growing styles in cycling and you can get off the beaten track on some beautiful scenic routes surrounding Fayetteville. Stop in one of our bike shops where they are happy to give you guidance on the best route to hit. Its an exciting time to be into cycling in Fayetteville with new trail development on the surge. There is something for everyone, from remote technical single track scenic adventures to easy family rail trail cruising. If your nervous about hopping back on your bike, Fayetteville is a great place to start your adventure. Arrowhead provides a unique facility where you can get into mountain biking without the extreme hilly terrain you will find in most of the area.